When You Open Up a Bank Account How Long Does It Take to Receive a Debit Card? Opening up a bank account in a key step toward establishing financial independence. Bank accounts allow you to deposit funds, withdraw money and write checks to cover bills. Debit cards have become a convenient way for consumers to make purchases and access bank funds without withdrawing cash or writing checks. Although new bank account holders may be eager to receive their debit cards and start swiping, it can take some time before your new card arrives in the mail. While the time frame for receiving a debit card varies by institution, it is common for account holders to get their card between five and 10 business days after opening an account. Debit cards look like credit cards but act as an electronic check permitting consumers to swipe a card in order to complete desired purchases. Rather than signing for the purchase, customers punch in a secret PIN to authorize the transaction. Funds are deducted directly from your bank account, so hold enough funds to cover charges or you’ll risk an over-draft on the account. Debit cards can also be used to withdraw money from ATMs. Some banks won’t charge customers for using ATMs belonging to the company; most ATMs will charge customers for using debit cards linked to bank accounts not held at that institution. Banks may have different schedules for sending out debit cards belonging to new bank account holders. In many cases, customers can expect to receive new debit cards within five to 10 business days, depending on the bank. If you don’t remember or weren’t told what time frame your bank policy offers for receiving debit cards, call the bank or visit its website to read through the debit card policy statements. It’s possible that your bank’s window for mailing debit cards is also stated on documents that were issued when you opened the account. If you haven’t yet received your new debit card and are curious about its whereabouts, visit your bank’s website to check whether it offers debit card tracking. While this isn’t always offered by banking institutions, some businesses allow customers to log in and check the status of their mailed debit card. You can also track your debit card’s progress by calling the bank and asking for the date when the card was mailed. Delays could increase the time it takes before receiving your debit card. If you’ve given the bank incorrect contact information for your mailing address, the envelope or package containing your debit card may have been rerouted back to the bank. It’s possible that backlogs due to public holidays or weekends might add an extra day or two to your wait. Unfortunately, another possibility is that your debit card was stolen from your mailbox before you were able to receive it. Identity thieves have been known to rifle through consumer mailboxes in the hopes of scoring debit cards or sensitive account information. If you suspect fraudulent activity, contact your bank immediately and request a freeze on the account. Once you’ve received your new debit card, you still cannot use it yet. You may need to peel an identifying sticker from the card and call the bank to activate the card. Sign the card, or write “Ask for identification," to discourage card misuse. 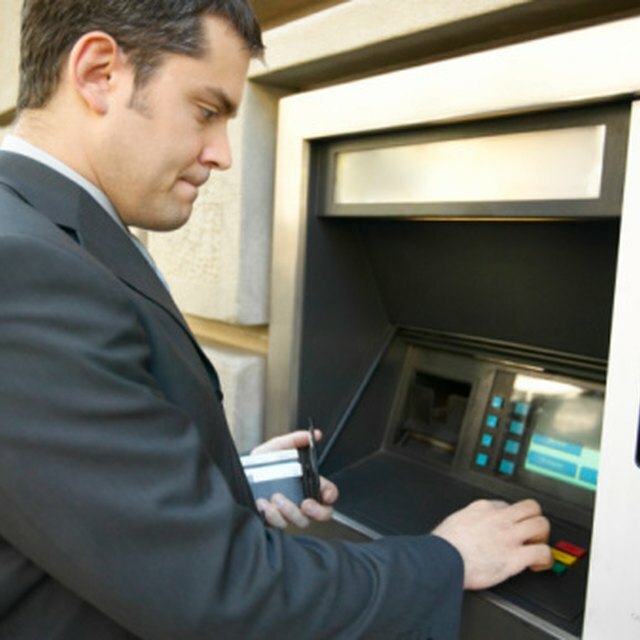 Some banks allow you to activate debit cards by swiping the card at a bank ATM and then entering your PIN. Smart Asset: How Long Does It Take to Open a Bank Account? TD Bank: How Long Does it Take to Get My Debit Card? Santander Bank: When Should I Expect My New Debit Card?